Stern Meteor Pinball is what I consider the most classic of the “classic Stern” pinballs. With a production run of 8300+ there are a lot of them still around. The are relatively inexpensive to acquire also. So we are heading over to get one today from a local homeowner. This game is located in the same town as me, only 5 miles away. Nice for a change! So off we go. Here is where the game resides. 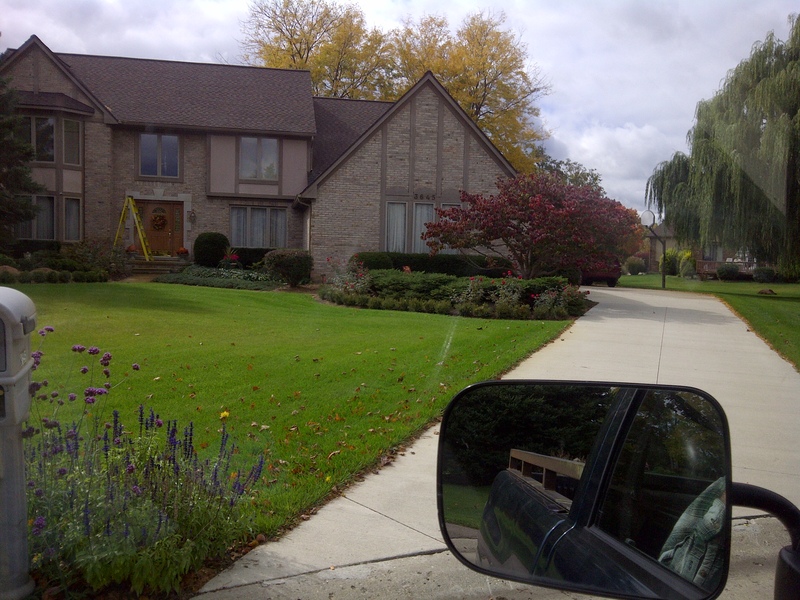 Typical “Nice” residence that can be found in the Suburbs of Detroit. 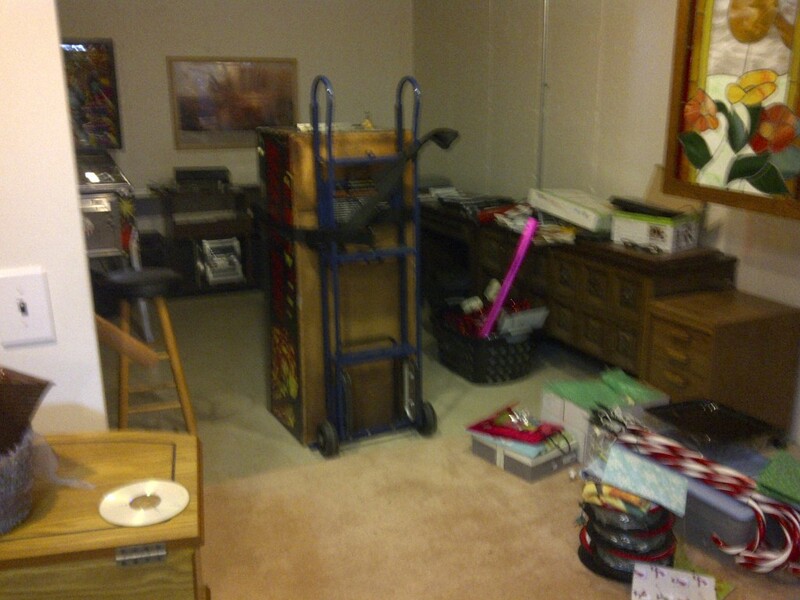 We arrive, greet the owner and head down to the basement. 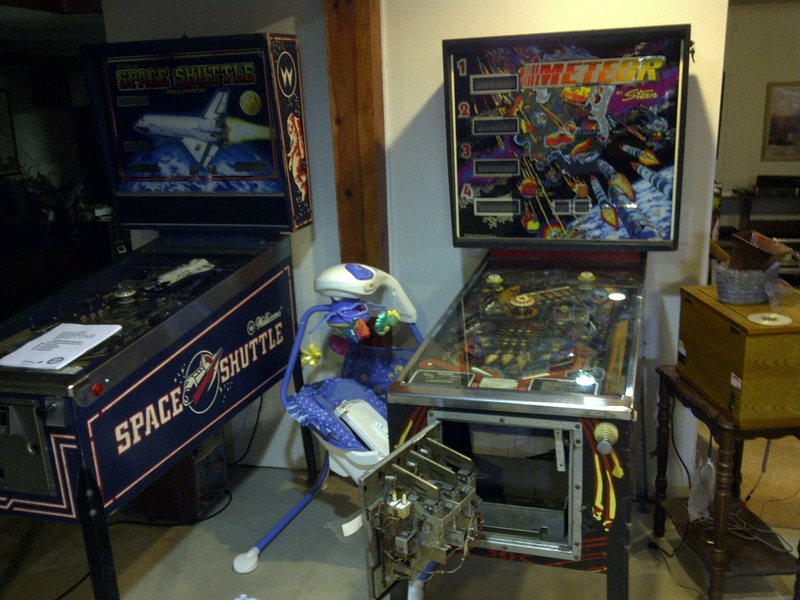 The owner had three pinball machines, including the Meteor. The Space Shuttle shown here as well as a Gottlieb Buck Rogers. We fixed the Space Shuttle and the Buck Rogers but the Meteor was too far gone. Sometimes the amount of work needed to fix a game will exceed the value of the game. Sometimes owners don’t care and want it fixed anyway. Other times, like this time, the owner decides it is not worth it. In that case I usually offer to purchase the game. In this case the meteor was missing the sound board completely, the CPU board has some corrosion, the driver board had burnt transistors, the rectifier board is the usual hacked up mess, the backglass had flaking, and the playfiled has serious wear. Other than that it was nice! So unfortunately, this will probably turn into a parts game. 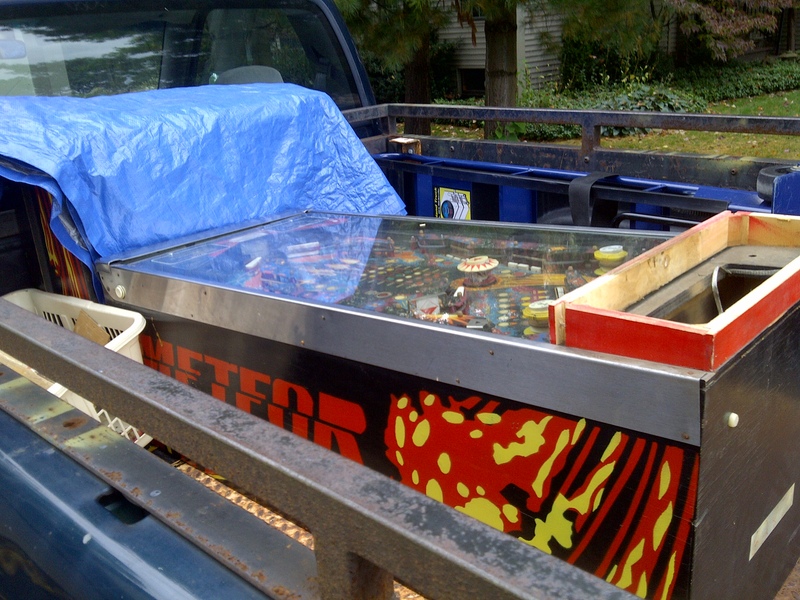 Unless a low priced nice Stern Meteor Pinball playfield wanders my way. Here is the Stern Meteor ready to go up….. 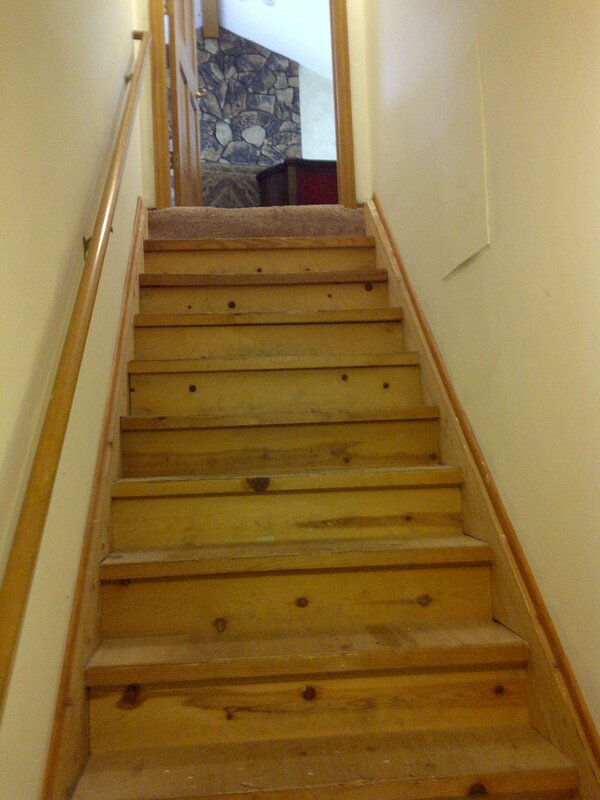 The dreaded basement stairs! Actually, as far as stairs go, these are pretty nice! 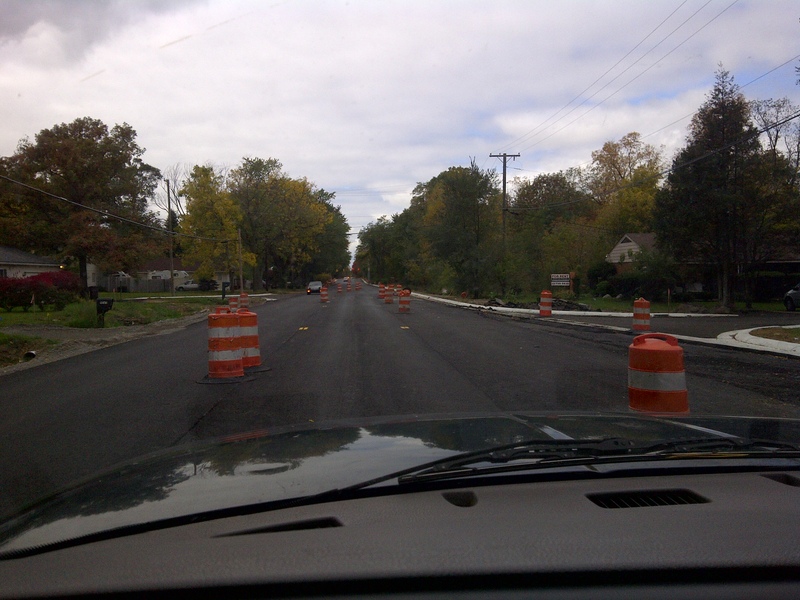 Straight and wide without turns. If you are going to have pinballs in the basement then easy to traverse stairs are a must. So the meteor is sent up the stairs and into the truck. Anyone have a Meteor PF for sale?